If you have a website that needs to be read in different languages, rather than going through the hassle of hiring a translator and having additional sites built, or additional pages added to your site, you can utilize a WordPress multilingual plugin instead. Some of these plugins can allow you to write the content in your own language, and then it will be translated for those who speak a different language, while others will allow you to write the content in a different language if you would prefer. We’ve gathered the three best WordPress translation plugins that you can utilize for your site. Let’s look at what each of these can offer. Easily one of the most popular WordPress multilingual plugins, WPML, this paid plugin comes with a full year of premium support and will let you create multilingual sites with ease. It is possible to translate your pages, posts, create custom post types, and menus into any language that you need. In addition, this WordPress multilingual plugin will connect you with professional translation services if you happen to need someone to translate content you have created. Another quality WordPress translation plugin that’s paid is Polylang. This plugin will allow you to translate all of the posts, media, pages, tags, and categories into another language. In addition, it can translate navigation menus, URLs, custom taxonomies, widgets, and custom post types. It is easy and intuitive to use, and it integrates right into the admin interface, which helps to speed up the workflow. Another one of the nice benefits of the WordPress multilingual plugin is the fact that it is compatible with the major SEO plugins, and it can take care of many of your multilingual SEO needs. Multilingual Press Pro offers great performance, the ability to add language links to WP navigation menus, top level domains per language, a language manager with 174 languages, the ability to translate posts, pages, categories, tags, and more. 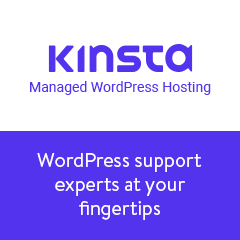 It is simple to use and it is highly flexible, making it one of the top choices for those in need of a WordPress multilingual plugin. As you can see, there are many fantastic options out there when it comes to WordPress multilingual plugins. These three are top options that can make working with your website and going global with different language much easier.